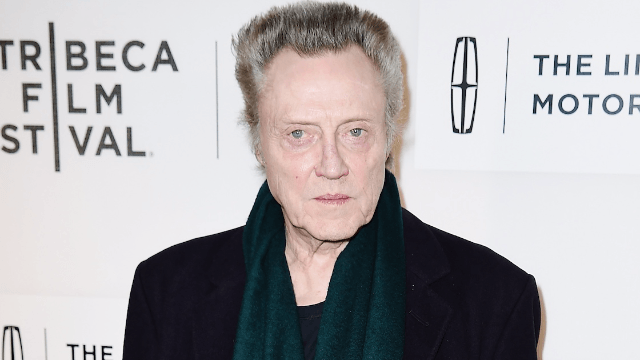 Dude trolls hotel staff with Christopher Walken-related room request, is shocked when they come through. In this day and age, every food delivery service and hospitality company has an online form with a "special requests" section. Surely, this has open the door for trolls to send in joke requests, but what happens when the troll becomes the troll-ee? A man named Daniel Buckley recently found out when he jokingly sent in an insanely specific (and Christopher Walken-related) request while booking a room at the Pembroke in Kilkenny, Ireland, and the hotel actually delivered. "When booking I felt mischevious so Luke Murphy and I wrote a strangely specific request for my room," Buckley wrote on Facebook. "They've only gone and bloody done it!" "We would like a FRAMED photo of Christopher Walken (signed if possible) from Pulp Fiction, as my father was an assistant to Mr. Walken on this film and this was his greatest accomplishment," Buckley wrote in the 'special request' section. "We like to be reminded of this!" Here's what was waiting for Buckley in his hotel room when he arrived. Yes, that is a framed photo of Christopher Walken from the classic film, Pulp Fiction, just as Buckley had requested. Oh yeah, and the photo is signed. Did the hotel just have a signed photo of Christopher Walken lying around or did they actually make the effort to go out and find one? Either way, I love it. This is customer service at its absolute finest.